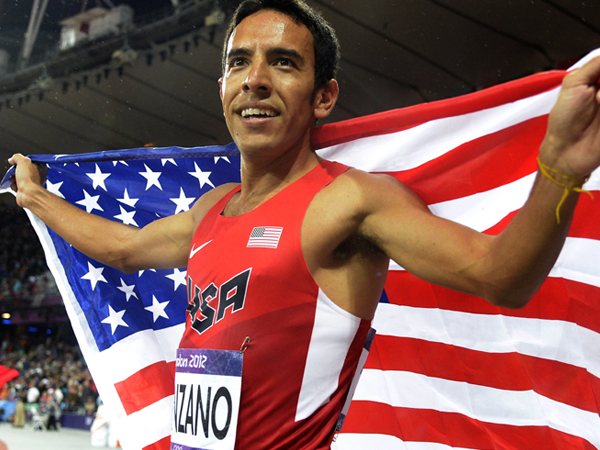 Leo Manzano hung on to win in 3:38.96 seconds the 1,500 meters HOKA ONE ONE Middle Distance Classic in Los Angeles demonstrating that hard work and dedication to task pays off. Richard Diaz conducted this interview with Leo a few short years ago on the heels of Leo’s outstanding performance that earned him a silver medal in the 2012 London Olympics. Because of late, I have spoken often about the importance of running mechanics, I thought it timely to pull this interview from our archive to share the thoughts of a world champions views on training and running skills. Leo’s performance at the Olympics brought the house down with his drought shattering 1500 meter effort. No American had made it to the podium for this distance at an Olympics since Jim Ryan back in 1968 in Mexico City. Because of this we refer to Leo as “The Rain Maker”. ← Are You Eating Your Beets?